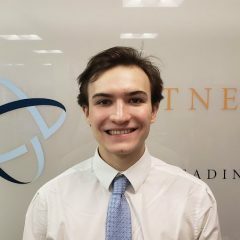 Mr. Spencer Faragasso is a Research Assistant at the Partnership for Global Security. He provides research and support for areas such as nuclear security and nuclear energy growth in the Middle East and East Asia. Spencer is currently completing his Bachelor's Degree in Political Science at American University in Washington, D.C. His focus within his degree is in policy. Spencer has written papers focused on the nuclear situation on the Korean Peninsula, the U.S. Military, and Terrorism in the Middle East.